Shopping for one bundle of joy can be an exciting and fun task, but shopping for two bundles can get overwhelming. For soon to be moms of multiples getting a few key products is incredibly important. A tandem baby carrier, an extra-large diaper bag, a two seater stroller, and some cute onesies for twins can make the difficulties of multiples just a little bit easier. 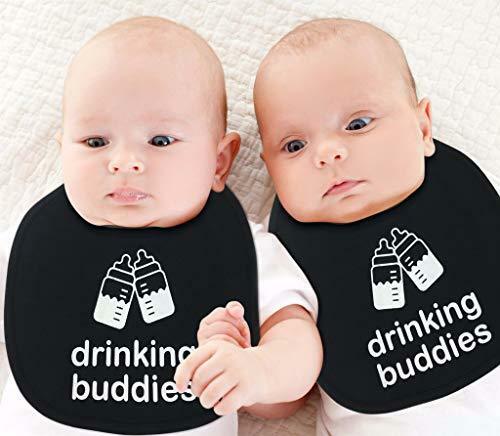 Whether you are a mom to be or giving a gift to one, below you will find the resources you need for shopping for twins. Another great resource for finding great twin products is Amazon. In fact, when you search “twins” in the baby category on Amazon there are almost 12,000 results. Amazon will have a wider selection of twin products than other stores, but the products will not be personalized. 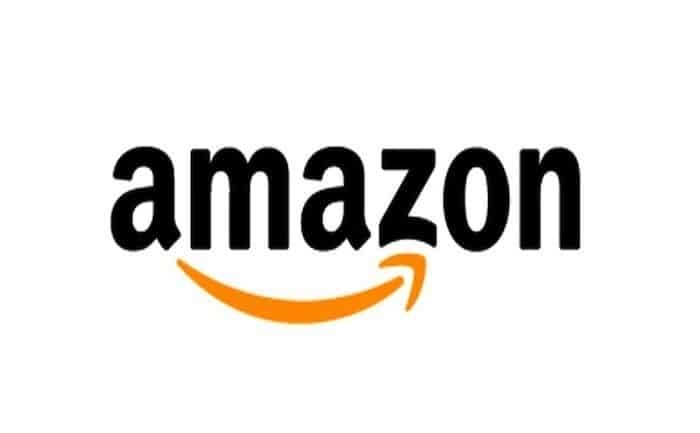 With Amazon Prime, many products get free 2-day shipping. This is a great place to look for big ticket items, such as strollers, carriers, and car seats because they will have a wide variety and most products have very detailed product descriptions and reviews. 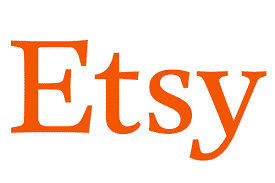 Etsy is a site that connects shoppers with people who craft unique items. It is a great place to find a custom gift or a handmade, one-of-a-kind product. There are hundreds of shops that specialize in baby products. You can find cute twin outfits, birth announcements, nursery décor, toys, blankets, and many more great items. The selection is much wider than you will find on other online stores and you can put in special requests to many Etsy shops. If you can dream it, chances are you can find it or someone to make it on Etsy. 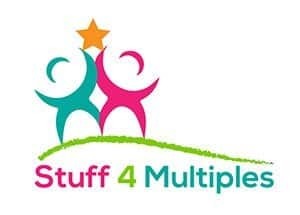 Stuff 4 Multiples is a website created by Julixa Newman who, according to the company webpage, wanted to “help parents of multiples manage the tasks and challenges associated with raising twins and multiples.” In addition to a online store, it is home to a twin parenting blog full of informational articles. The site started out in 2009 selling humorous t-shirts for multiples and since has become a hub for shopping for multiples. 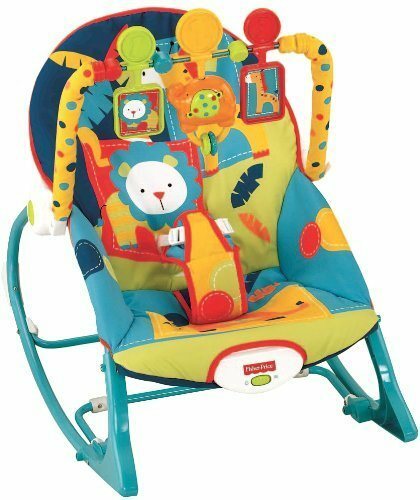 Stuff 4 Multiples sells over 1,800 products, including carriers, strollers, furniture, clothing, jewelry, and gifts. They offer a gift registry service and a wide variety of adorable gifts for baby showers. They develop their own products, including a jewelry line, a diaper bag, and a swimming pool float for twins. Stuff 4 Multiples is also the creator of the Twingaroo, a baby carrier made for comfortably and safely carrying two children. The product has a built-in diaper bag, insulated bottle holders, and extra padding in the strap and belt. It is the winner of numerous awards, including the Creative Child Magazine 2015 Product of the Year Award and Baby Maternity Magazine Top Choice Award 2015. Whether you are looking for practical or fun, Stuff 4 Multiples has something for everyone. Just Multiples was founded by Lynn Lorenz, author of The Multiples Manual, who is a twin- and mother of triplets! The website slogan is “Where Shopping Begins for Triplets and Twins!” They offer gifts, clothing, books and DVDs, and nursery décor. The clothing department of the website provides a personalization section for a customized gift. They also have big ticket items made specifically for multiples, such as strollers, diaper bags, tandem baby carriers, and feeding tools and tables. The website has a wide assortment of gift baskets for twins with cute themes like Calm & Panic, Two Peas in a Pod, and Night Owl & Early Bird. They offer invitations, thank you cards, and birth announcements, as well as party supplies. Just Multiples provides a registry service that can also link to other sites. Trend in Twos is a web-based boutique created by Kellie Asaro, who wanted “to accommodate the growing community of twins and their families with fun, unique clothing and gifts made just for them.” She is also the founder of an informational website called Twin Pregnancy and Beyond. Trends in Twos has clothing, accessories, books, toys, and gifts. They also offer gear such as swim floats, diaper bags, nursing pillows, feeding solutions, and baby carriers. The have a small number of personalized gift options. They have cute clothing collections like DC Comics Superheroes and Dr. Seuss’s Thing 1 and Thing 2. Shopping at a twin specialty store will ensure that you find the right product for your needs. The owners of online stores work to provide excellent products that are perfect for families of multiples. By shopping these stores, you will find unique and practical gifts, clothes, and baby care tools. Bringing home a new baby brings incredible, life-changing moments as well as a brand new set of challenges. For expecting twin moms, the challenges and changes double, so take advantage of that baby registry and all the love of your family and friends and register for some great, time-saving items. BirdRock Baby is a San Diego based company that specializes in high-quality baby shoes. All of their products are backed by a Lifetime Guarantee, and with each product sold BirdRock Baby donates food for a day to a child in need through their “Giving Back” program. BirdRock Baby’s flagship product is their genuine leather baby moccasins. They offer over 30 different colors, so you can mix and match the perfect pairs for your little ones! The soft sole design of these shoes is perfect for babies learning to explore the world. You can also find BirdRock Baby moccasins on Amazon. One of our favorite BirdRock Baby products for twins is their organic cotton baby booties, a perfect replacement for troublesome baby socks that never seem to stay on. BirdRock Baby booties are secured by a 3-snap system, and their cozy fleece and organic cotton are perfect for keeping those toes warm. You can also find BirdRock Baby booties on Amazon. If you’re one of the hostesses, friends or family members, consider some of these must-have items that will bless the mommy-to-be. 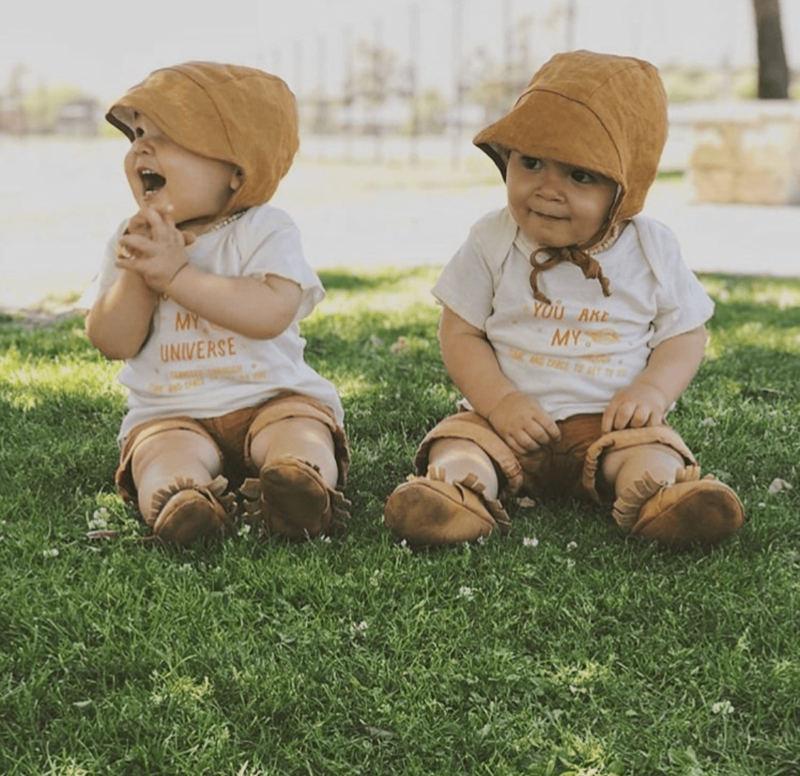 Kind, practical gifts can still be given on a budget, so consider some of the gifts below that are proven favorites of mothers of twins. As much as it’s enjoyable to purchase toys, clothing and all the “fun” stuff for babies, the new mom will greatly appreciate the thoughtful gift of diapers and wipes. With a newborn going through 8-10 diapers a day (times two! ), that’s easily 140 diapers a week for the darling little twins. Twins tend to stay in diapers until they’re almost four years of age. The expectant mom will thank you now and later if you give this very practical gift! 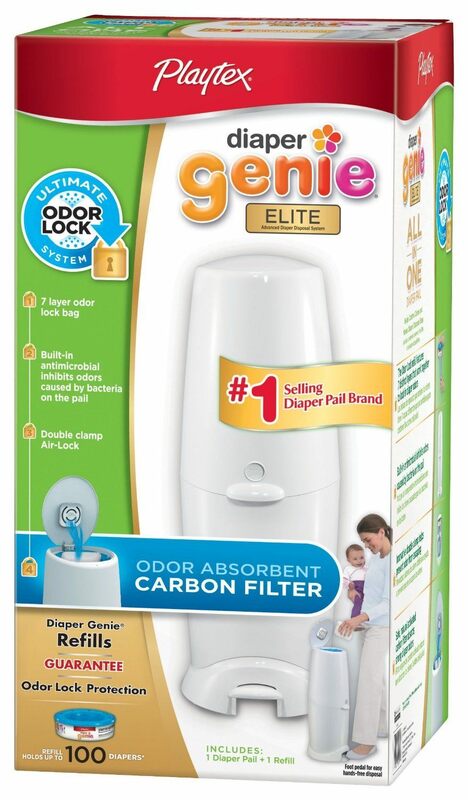 A diaper disposal system is a must-have item if you want to keep the smell of dirty diapers from invading your home. With double the diapers, the expectant mom will need this sure-fire solution guaranteed to keep the nursery and home smelling fresh. Wow! This useful product is that extra hand (or two!) that a mom of twins needs on a daily basis. 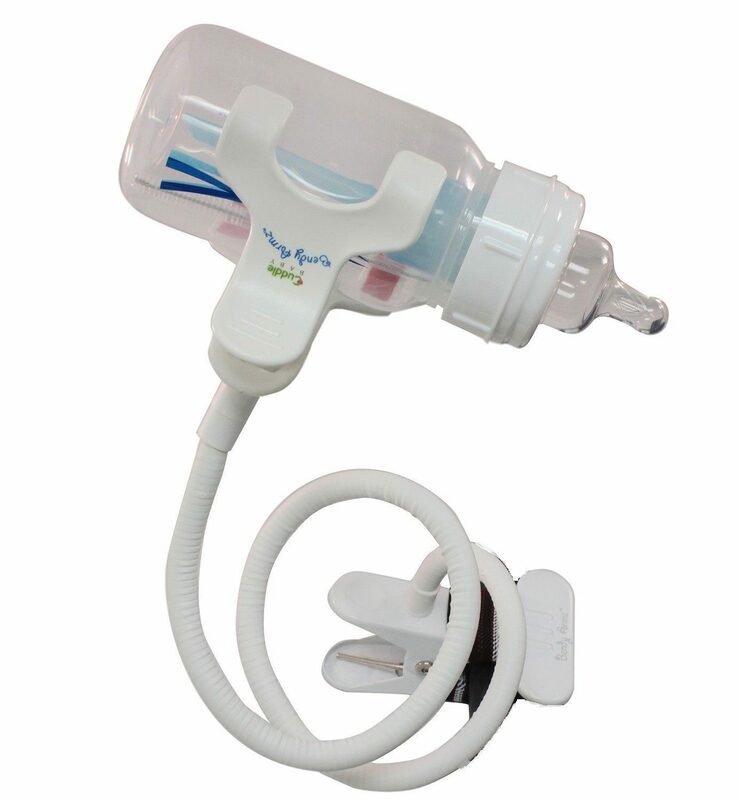 It safely attaches to a carseat, stroller, highchair, booster seat and more to hold a bottle, book, phone or tablet. It’s an ideal item to safely entertain or feed one little one while mom is tending to the other baby. A multi-functioning gift that helps babies sleep will always be welcome. 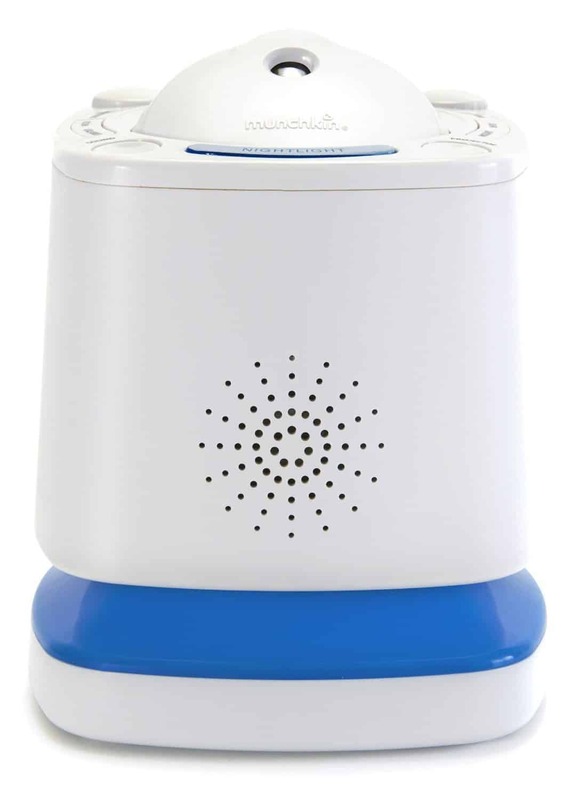 The Munchkin nursery projector sound system not only provides a nightlight and glowing image (perfect for nighttime feedings and diaper changes), it also includes soothing lullabies to encourage your little ones to sleep. Favorites include Brahms lullaby, Mozart lullaby, “Twinkle, Twinkle Little Star” and many more. All nursing pillows are not created equal, and what better way to naturally feed both babies at once than with the help of a deluxe nursing pillow. Its plush, zip-off cover is easy to wash and adjusts to fit all the way around mom. An adjustable back support also makes it easy on a breast-feeding mom’s back. How reassuring would it be to not have to wait for a doctor’s visit to find out your babies’ weight? With twins usually beginning life at smaller weights, weight gain can be an extra concern. Giving the gift of a scale that can extend into toddler-hood is a great idea and sure to be a welcome addition to the nursery. In a sleep-deprived state, it can be easy to confuse timings of feedings, diaper changes and more. With twins, keeping track can be overwhelming, so a personal baby care timer may be the answer. 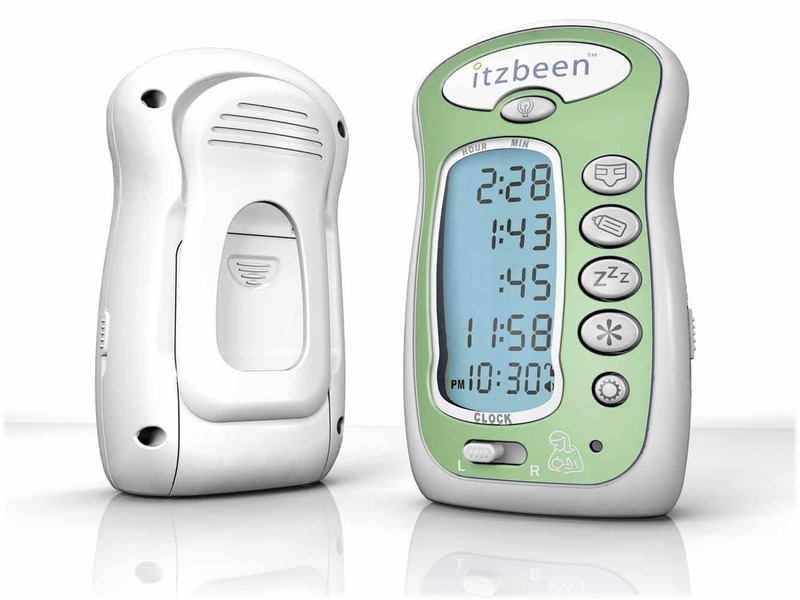 A timer is also perfect for when other caregivers such as grandparents, nannies and babysitters are caring for the babies and need to stay on schedule. Soothing a fussy baby is often helped with soothing rocking motions. When mom is rocking one baby, the other still gets rocked with this necessary baby item. 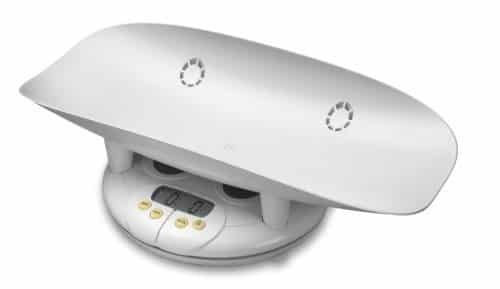 It also provides more than just rocking, and includes musical features, vibrations and an activity bar with toys, ideal for playing or napping. This carseat cover provides great airflow while protecting babies from harmful UVA rays, UVB rays and insects such as mosquitoes and bees. 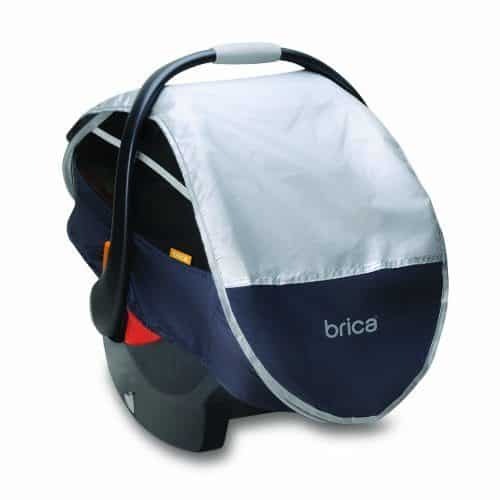 It also works with the existing carseat and fits all major brands. Have a Little Extra to Spend? Check Out These Mommy Favorites! While this gift is a little over the $50 budget we set for this article, we liked it so much we had to mention it. A free-standing, portable play yard may be mom’s best friend as the twins grow. 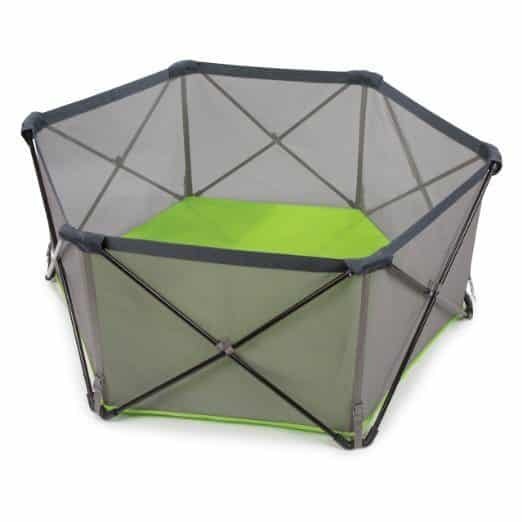 Protect them as they play inside and outside with this 14 square foot area. Mesh sides make for easy visibility while a lightweight design makes it easy to set up and take down anywhere. Finding the right diaper bag can be difficult, but this one checks all the right boxes. 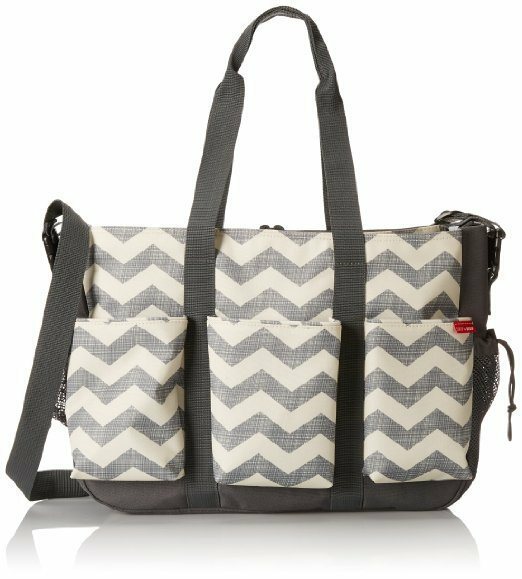 It’s got a cute, gender-neutral chevron design, it was designed to fit a double (side-by-side) stroller and it includes 16 pockets with magnetic closures. 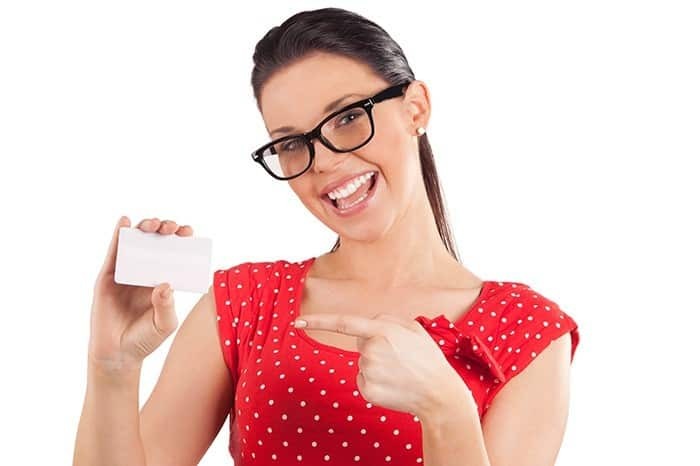 Gift cards are always more than welcome, as the mom-to-be can use them for anything she still needs after the baby shower is over. Great choices include Target, Babies ‘R Us and Toys ‘R Us. Also, don’t forget gift cards to nearby restaurants with to-go options for those hectic and sleep-deprived days after the babies come. Don't Forget to Ask For a Gift Receipt! Make sure to include a gift receipt so that any item can be exchanged if needed. Each baby may have sensitivities to certain brands or products, so having the flexibility of exchanging products for a different type or size is helpful for the mother. Gifting on a budget can be easier than you think with some of these useful ideas. Happy gifting!